• Happy 20th Birthday to Rez Bluez! • Win James Cotton Tickets! • Mississippi’s Got the Blues! 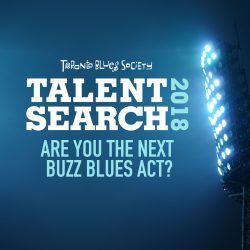 The Toronto Blues Society presents the best in blues talent the first Thursday of each month at the Melody Bar in The Gladstone Hotel. Performances are free to the public, begin at 9pm, and the Gladstone has an excellent menu if you arrive for the show early! The next show will feature Canadian blues icon Morgan Davis on Thurs June 6. We are pleased to announce the finalists for the TBS Talent Search taking place at Dominion on Queen starting at 9pm! Performing Friday June 7: Chris Field, Lindsay Barr, Sugar Brown. Performing Saturday June 8: Big Crush(pictured), The Don River Blues Band, Rich and the Poor Boys. 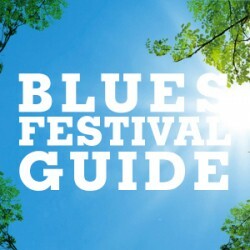 The winner will receive a prize package that includes a showcase slot at Blues Summit Seven in 2015, a gig at the Chelsea Monarchs Pub, a day at Revolution Recording, a performance at the Southside Shuffle, a performance at the Kitchener Blues Festival (subject to final approval), and mentoring meetings with industry professionals. Happy 20th Birthday to Rez Bluez! Harp legend James Cotton is performing at the Horseshoe Tavern on Sunday June 23 as part of the TD Toronto Jazz Festival! 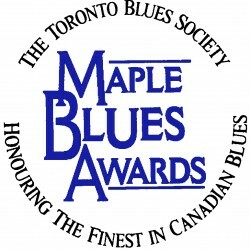 As a benefit of being a TBS Charter Member, a pair of tickets is on offer by emailing James Cotton’s nickname in the subject line to info@torontobluessociety.com.